Children don't need to be taught; they need to be trained. Life is not just about intellectual lessons and information. It is about integrating truth into the fabric of our daily lives. 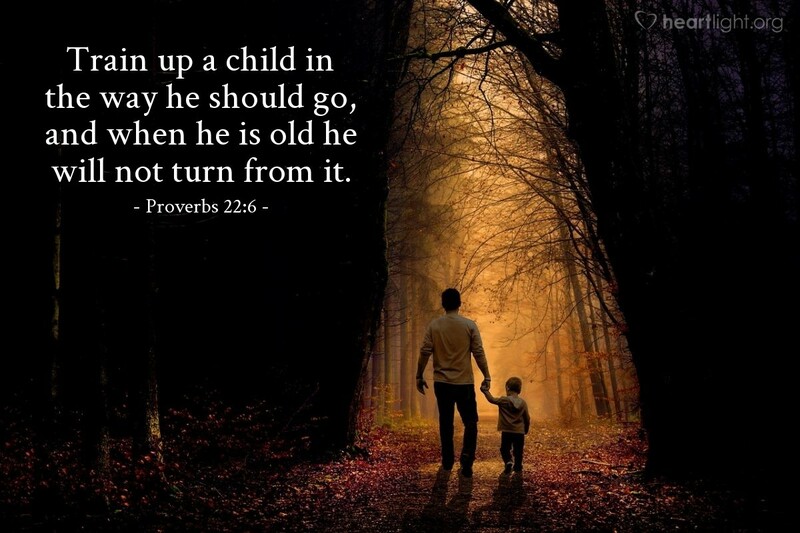 God calls us to move our children and their training up on the list of our priorities because our children are forever, while most of the other things we invest our time in are temporary. Great and Holy Counselor, help me as I seek to know the best thing to do with my children to share your love and your truth with them. I want them to know and love you more perfectly than I do. Give me wisdom and courage to make wise decisions and the tenderness to implement them in my family's life. In Jesus' name I pray. Amen.